Thank you to our 3252 crew for coming out to the LAFC Experience Center to kick off the MLS Expansion Draft. Today, we took over the MLS network and stole the conversation with our first five picks, adding more young-blooded talent to our roster. Head Coach Bob Bradley and GM and EVP of soccer operations John Thorrington were center stage to announce and support all five picks, with our very own Gil Torres announcing LAFC’s third pick. Bradley kicked off the 87-degree morning with a note about our most recent signing: Walker Zimmerman. The FC Dallas and U.S. Men’s National team’s premier defender is coming to LA in exchange for $500,000 in allocation funds and the No. 1 allocation slot for the 2018 MLS SuperDraft in January. Zimmerman will join Egyptian defender Omar Gaber and the club’s first designated player, Mexican forward Carlos Vela. Together, we stand in support of a team and coach that will dominate MLS in 2018. UPDATE: LAFC’s No. 4 and No. 5 picks were traded for top defender Laurent Ciman from Montreal Impact shortly after the draft’s close. Here’s what our leaders had to say. 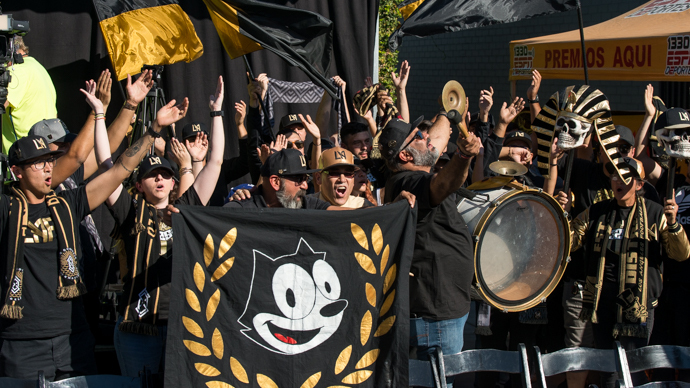 [Join The Movement] Be sure to RSVP for our LAFC Holiday Open House on Saturday, where you can become a member of The 3252.